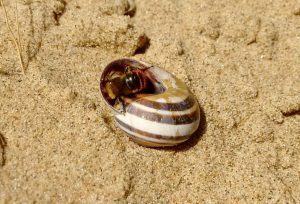 When I tried to pick out one thing to focus on from my volunteering experiences with Gems in the Dunes over the last year, I found it was an impossible task! Looking back over all the talks, walks, training, habitat management and surveys I have been involved in, I decided to showcase my favourite Sefton Coast ‘Gems’ from across the whole of 2018. Despite living in this area for several years, there are many dune specialists I have never found before or managed to get out to see at the right time of year. Volunteering with Gems in the Dunes and being out regularly in all the seasons has definitely changed that. The year started and ended with our winter bryophyte surveys and the continued search for colonies of Sea Bryum and the elusive Petalwort. 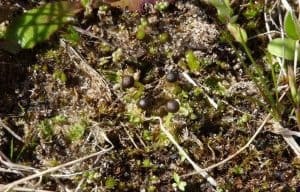 It’s hard to top the find of winter 2017 when we surveyed over 1,400 Petalwort plants in a new colony but our small band of intrepid volunteers continue to brave all weathers and aching knees crawling around the dune slacks with good numbers of Petalwort recorded so far. 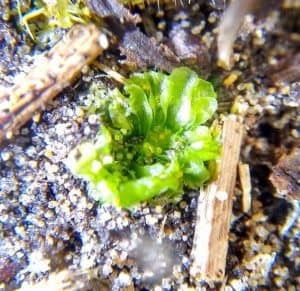 My bryophyte spotting skills have definitely improved since we started! February saw the start of Natterjack Toad surveying season with dune slack pool habitat assessments followed by excellent Natterjack monitoring training sessions. 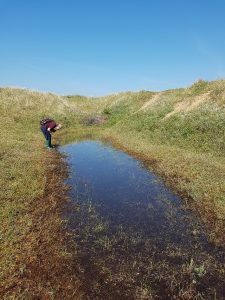 Me monitoring Natterjacks at one of our most successful pools, Slack 144 (photo by Chris Ambrose). In April, myself, Chris and Margaret, two of my fellow Gems in the Dunes volunteers, began monitoring six dune slack pools at Ainsdale Sand Dunes NNR where we also all volunteer. 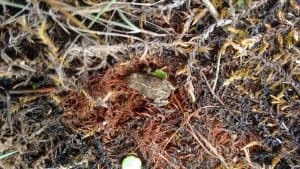 This 14-week, structured national monitoring programme is probably the biggest survey I have been involved in and it was brilliant to see the Natterjack life cycle from start to finish. We got to grips with the difference between Common Toad and Natterjack spawn strings and tadpoles, fully appreciated the difficulty of looking for the white ‘chin spot’ on the Natterjack tadpoles, worried about the rate the pools were drying out and rejoiced when the Natterjack toadlets survived the drought and emerged from our pools. A true rollercoaster of emotions! I particularly loved the night-time walks at the Devil’s Hole/Altcar Rifle Range and along Ainsdale Beach. 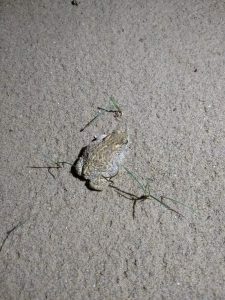 Both were near perfect nights, weather-wise, with the unforgettable sound of Natterjacks in full song at the Devil’s Hole and the slightly eerie sight of a Natterjack crawling swiftly out of the dark towards me along the strand-line of Ainsdale Beach. 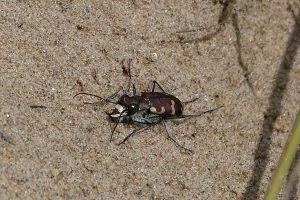 With no time for a breather, April and May saw the beginning of the Sand Lizard and Northern Dune Tiger Beetle surveying after training sessions for both species. 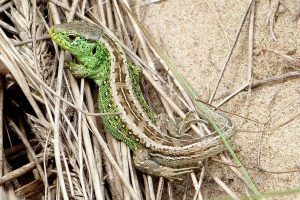 Having already tracked down the Tiger Beetles the previous year, I had yet to find a Sand Lizard so the search for this species was of particular interest. Monitoring Tiger Beetles in 2018 was interesting. We had the first generation in April/May but the second generation which usually appears in August was several weeks earlier due to the very hot summer. This meant that not many were therefore seen out and about when expected. Nevertheless, I still recorded good numbers on my route from Ainsdale Beach to Weld Road with over 250 sightings of this voracious hunter! Throughout all the above flagship species surveys, I came across many of the other botanical and entomological wonders of the Sefton Coast, the best of which I have included below. Having a mild obsession with solitary bees, finding the Gold-fringed Mason Bees emerging from their snail shell nest was undoubtedly an exciting moment for me. I may have gotten quite giddy about that one…! Left: Gold-fringed Mason Bee male emerging from its snail shell nest (May 2018), believe it or not, there’s more than one in there! 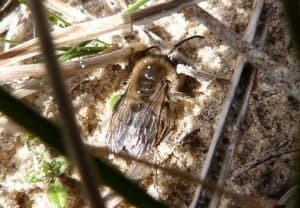 Right: Vernal Mining Bee in April 2018. 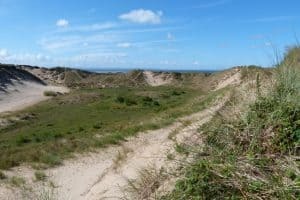 Volunteering with Gems in the Dunes since 2017 has provided me with opportunity, training and experience on a wide range of coastal conservation topics as well as supplying fresh air, scrub bashing muscles, good company, tea breaks and plenty of biscuits and I have enjoyed every minute of it - apart from getting stabbed by Sea Buckthorn! Here’s to an equally successful 2019 along the Sefton Coast! 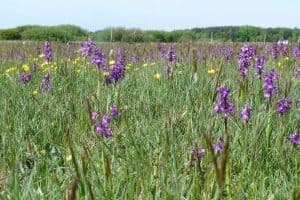 Left: the glorious sight of Green-winged Orchids at Altcar Rifle Range, seen during a Sand Lizard and Rosa Rugosa surveying day (May 2018). 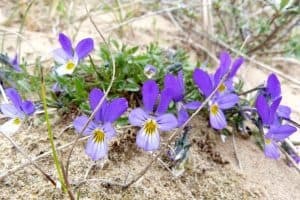 Middle: the first of many stunning dune annuals spotted during a Gems in the Dunes talk and walk – Dune Pansy Viola tricolor ssp. curtisii (May 2018). 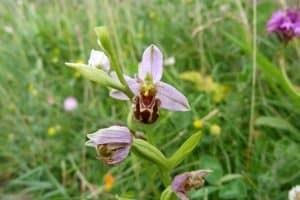 Right: Bee Orchid (June 2018), another first for me! 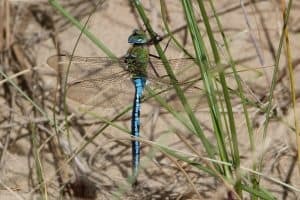 Left: Emperor Dragonfly at rest during an early morning Sand Lizard survey (June 2018). 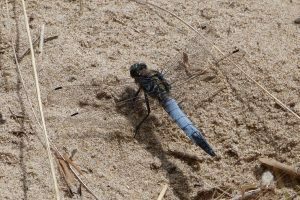 Right: Black-tailed Skimmer (June 2018), a first for me! Hi, with no ‘contact us’ email address, I’m reaching out via this page to enquire about the fact BTDonate is stoping collecting donations on 30 June 2019. I don’t know if the conservation is aware of this, but this a hard stop and everyone who is currently donating, myself included, will automatically stop doing so after this date, many patrons won’t realise this has happened and the conservation will loose a lot of potential income, in all likelihood income it won’t get back. For full details see -https://mydonate.bt.com/donation/v4/chooseAmount.html?charity=190730&currentMonth=9 Please advise me on how I can continue to donate after 30 June 2019. Thank you so much for being in touch to let us know. We’re aware of this issue and are already on the way to fixing it.